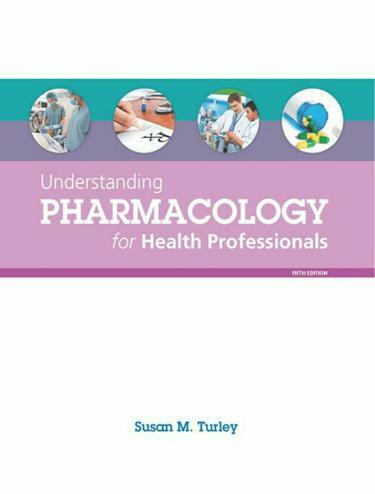 Understanding Pharmacology for Health Professionals provides a well-organized, easy-to-understand introduction to the world of drugs and pharmaceuticals. The Fifth Edition is structured into three broad, clear units that divide the vast subject of pharmacology into an approachable guide for students and experienced health professionals. Todays most up-to-date drug information is enhanced with beautiful illustrations and photographs that allow students to delve into the visual world of pharmacology while deeply engaging with the text. A comprehensive drug reference glossary as well as a set of thorough appendices supplements the text to further simplify the extensive array of drug information available. Impeccably organized and enjoyable to read, Understanding Pharmacology for Health Professionals makes a broad and difficult subject matter both graspable and interesting for both students and practicing health professionals.